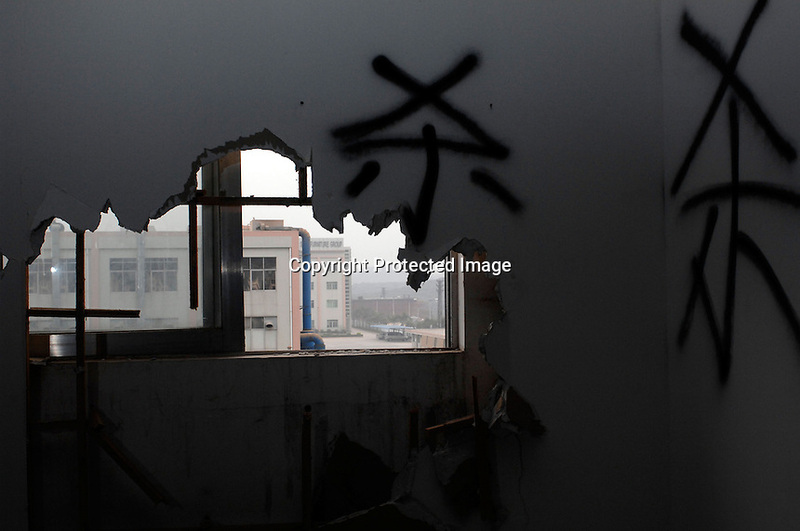 A deserted factory in Houjie Town, Donguan, China. The graffitti on the walls reads "kill". Many of the factories closed leaving workers unpaid. the workers dstroyed some factories. As the economy changes and Chinese labour gets more expensive, factories are cosing leaving ghost towns behind them.